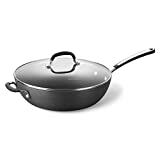 Best Pan for Deep Frying in 2019 | Top 5 tested and reviewed. Deep frying might not be the healthiest cooking method out there, but the beautiful crispy results it produces can’t really be achieved with any other method. Contrary to what many people believe, you don’t need a professional deep fryer to achieve the crispy fried goodness at home. 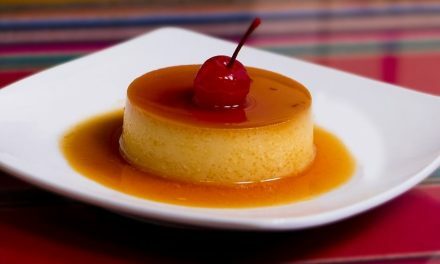 It can be done on the stove top and everything you need is a good pan for deep frying. 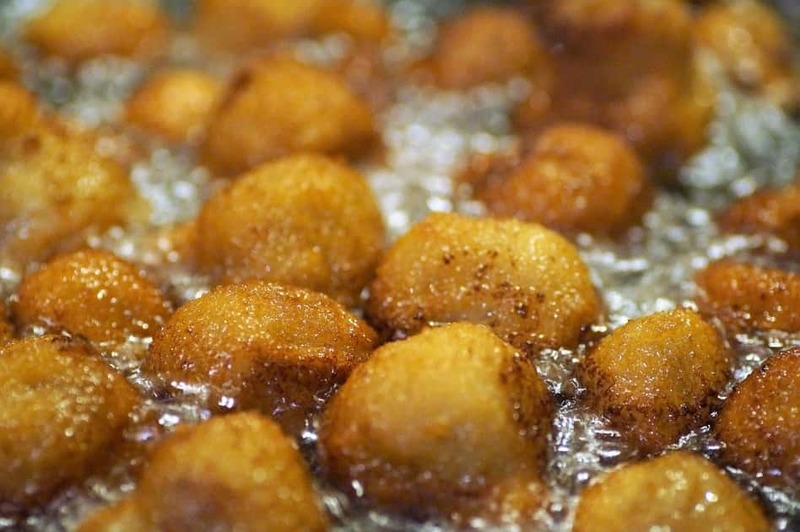 So what is the best pan for deep frying? There are many different opinions when it comes to answering this question. Some people like deep frying in a dedicated pan, some prefer a wok, while others like deep frying in a dutch oven. However, a pan for deep frying always needs to be wide and have a thick bottom to prevent the food from burning. Read on if you want to see our choice of best pans for deep frying! We simply love Calphalon because they never disappoint us with their simple but functional products. The Simply Calphalon Nonstick Jumbo Deep Fry Pan was designed specifically for deep frying and it performs the job really well. This pan is quite wide with gently sloping sides. This is perfect for deep frying – since you get a lot of room inside and the shape of the pan prevents the food from sticking and minimizes the amount of oil you need to use. In case you need exact measurements, this pan is 12 inches wide at the top and 9 inches wide at the bottom because of the sloping sides. It is about 3 inches deep which is the perfect depth for deep frying comfortably. The Simply Calphalon Nonstick Jumbo Deep Fry Pan is made of medium gauge aluminum that heats up quickly and withstands high temperatures really well. The internal surface is covered with a dual layer non-stick coating. This pan also comes with a tempered glass lid and it is covered by a warranty for 10 years. Cast iron is one of the best materials for deep frying. This metal is known for its heat retention properties – once cast iron gets hot, it stays hot for a long time. 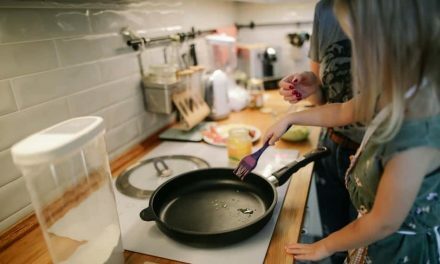 Besides the fact that you will use less energy to keep a cast iron pan hot, this also means that it will allow you to maintain a stable temperature while deep frying various foods. The Lodge L10CF3 Cast Iron Covered Deep Skillet is made of cast iron which means it has all of these properties that create perfect and consistent results when deep frying on the stove top. The Lodge L10CF3 Cast Iron Covered Deep Skillet has a capacity of 5 quarts which is a nice size of deep frying. It has a long handle on one side and a small helper handle on the other. You do need two handles to lift this pan because it is quite heavy. It also comes with a nice cast iron lid. Both the lid and the pan are completely oven safe. The skillet comes pre-seasoned but the seasoning needs to be maintained. Dutch ovens are beautiful and versatile, and this Dutch oven from Le Creuset works quite well for deep frying. It is made of heavy cast iron which allows it to distribute heat evenly and retain heat really well. 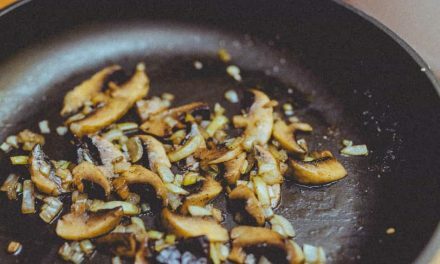 Remember, when you put food in the oil the temperature of the oil will drop, but cast iron remains hot and brings the temperature up to the desired level quickly. The Le Creuset Signature Enameled Cast Iron Round Dutch Oven has a cast iron core, but it is covered with a beautiful enamel coating. The outside coating looks beautiful and comes in a wide range of colors while the interior enamel coating prevents the food from sticking. This Dutch oven has two large handles on the sides. They are quite comfortable which is actually really important considering that the pot is quite heavy. Overall, this Dutch oven is a great choice for deep frying, but it can also perform many other tasks. There are many chefs that will tell you that a wok is actually the best pan for deep frying. Even though deep frying is not their primary purpose, woks actually work great for this. The sloping side, the wide opening and the flat bottom allow for consistent results when deep frying. We’ve chosen the Joyce Chen 22-0060, Pro Chef Flat Bottom Wok Uncoated Carbon Steel because it’s a high-quality wok that is quite affordable at that. Moreover, it is just the right size for deep frying. This wok is made of carbon steel, a material that is becoming quite popular for frying pans and skillets. It conducts heat really well, but it is much lighter than cast iron. The wok has a flat bottom, sloping sides, and a wide diameter at the top of 14 inches. It features a long, double-riveted phenolic handle that remains cool on the stovetop. There is also an additional helper handle on the other side for easier handling. This wok needs to be seasoned, though, and it is not dishwasher-safe. Cast iron with or without an enamel coating, aluminum with a non-stick coating, carbon steel, or stainless steel? It really comes down to your personal choice. If you don’t like heavy pans, the Simply Calphalon Nonstick Jumbo Deep Fry Pan and the Joyce Chen 22-0060, Pro Chef Flat Bottom Wok Uncoated Carbon Steel are the lighter options. On the other hand, the Lodge L10CF3 Cast Iron Covered Deep Skillet is quite heavy but it also retains heat really well which allows for consistent results. 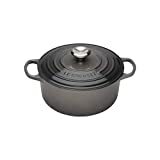 The Le Creuset Signature Enameled Cast-Iron 5-1/2-Quart Round Dutch Oven is somewhere in the middle, it is not too heavy, but it is still made of cast iron. Whichever you choose, you won’t make a mistake, these are all great pans for deep frying! Indian Cooking? Read our Best Kadai for deep frying review. Considering an induction cooktop? Check out our non-stick frying pans reviews. Thinking Ceramic? Check out the Best Frying Pans.